Bradford has one of the highest prevalence rates of diabetes in the NHS. And the way services are delivered over the next decade and beyond are poised to be transformed, thanks to a new model of care that is emerging. 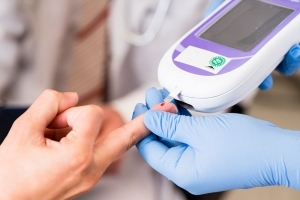 The two clinical commissioning groups in Bradford are breaking new ground with the development of a fully-integrated, end-to-end, diabetes service. We are playing an instrumental role in a Provider Alliance or organisations who have joined forces to deliver a single 10-year contract covering all aspects of diabetes care – from podiatry clinics to hospital inpatients. The alliance pools the expertise of Bradford Care Alliance, Bradford Teaching Hospitals NHS Foundation Trust, Bradford District Care NHS Foundation Trust, Bradford District Council and the voluntary care sector. Together, we are finalising a very compelling and competitive tender that meets – and beats – the service specification, designed to take innovation and joined-up care to new heights. We hope to share more information with you in 2017 about how our bid is progressing, once we have presented our proposals to the CCGs. We will update this page as new opportunities present themselves. We expect the number of opportunities to increase amid a growing determination by commissioners to launch new ways of delivering care.